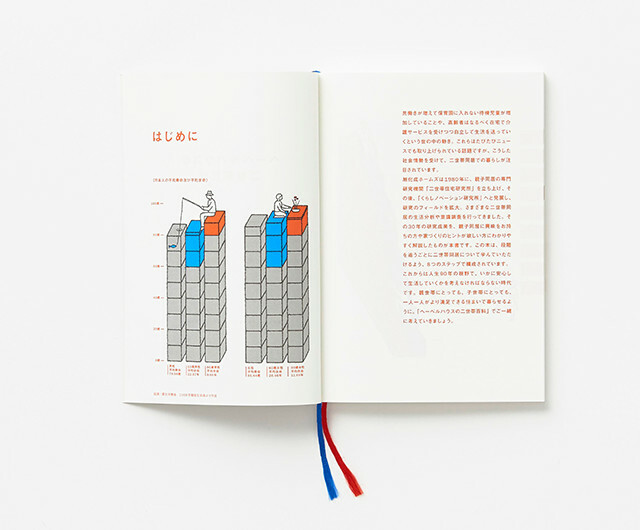 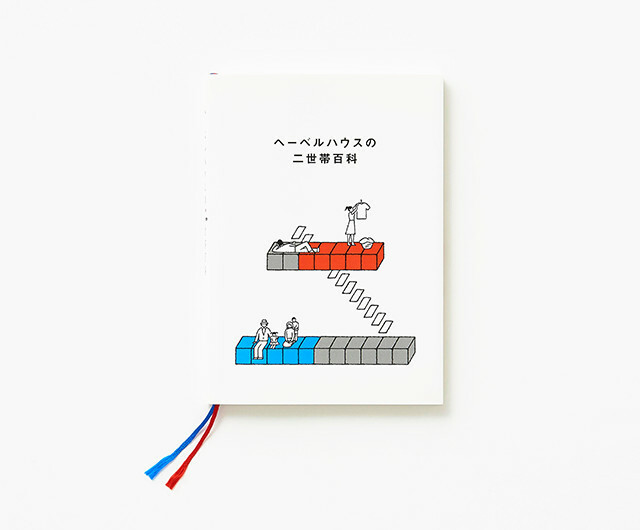 This booklet plays an educational role in broadly disseminating the knowledge which Asahi Kasei Homes has gained as a pioneer in two-family housing research. 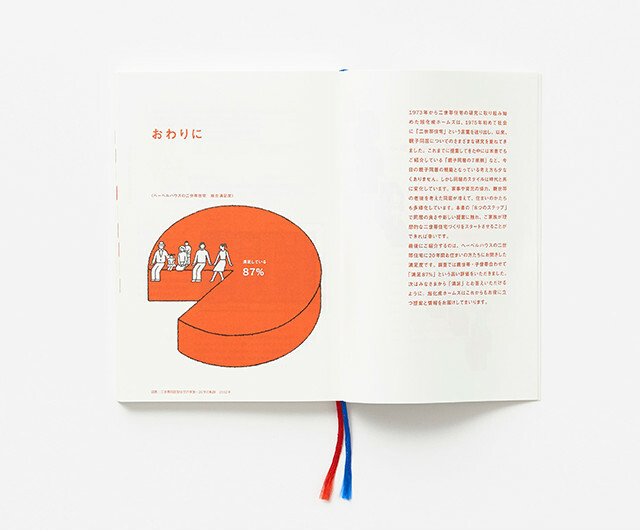 It is configured to present one piece of information on one page, and uses minimalist blue, red, and gray color elements and highly functional illustrations to visually represent the information. 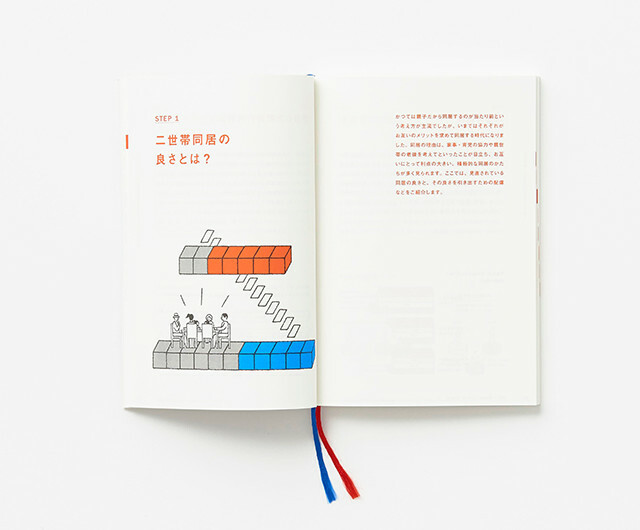 It allows statistics, the social background, and other information to be learned at a glance.